Our anti-graffiti coatings provides new standards for quality, durability and resistance. 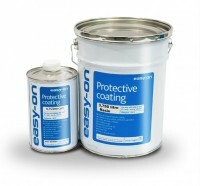 Suitable for any surface it provides up to 20 years of protection from graffiti vandalism, scuffs and marks. Simple to apply and environmentally friendly, it’s unique formula prevents paints and inks from penetrating the surface enabling you to wash graffiti away with hot soapy water. 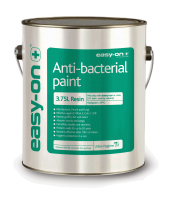 Our industry leading anti-bacteria paint is scientifically proven to eliminate bacteria growth, germs and infections. Ideal for premises where hygiene is essential it is the perfect solution for hospitals, health centres, care facility’s & food preparation areas. Simple to apply it provides up to 20 years of continuous protection. 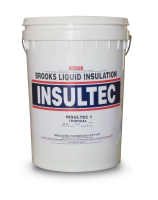 The Insultec range of coatings and membranes have a remarkable ability to stop heat transfer, re-radiating 95% of solar infra-red rays and 85% of ultra violet rays back into the atmosphere. Simple to apply, tests have reported energy usage savings of 61%, saving thousands of dollars in operational and energy costs. Flexible and easy application on a wide range of surfaces, including concrete, brick, tile, metal and timber. One application provides up to 20 years of continuous protection maintaining the value and life of your assets. Environmentally friendly, our coatings are 100% non-hazardous, non flammable and contain no harmful chemicals. Scientifically proven, all our products have been independently tested, approved and recogonised for their unbeatable performance.